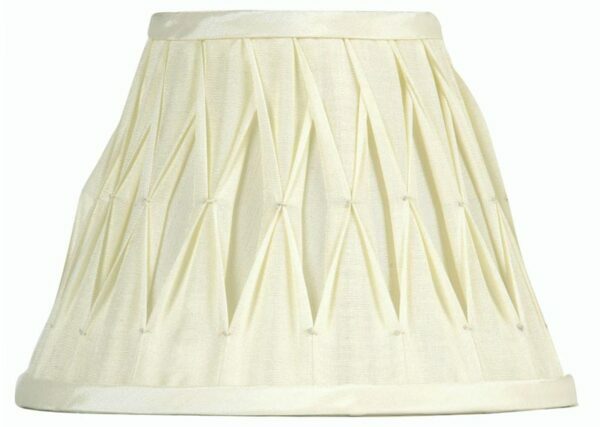 This pleated 10 inch ivory faux silk lamp shade is fitted with a reversible gimbal to allow fitting as a pendant light shade. Soft lined, with self coloured trim and fitted with a 45mm shade ring to fit E27 lamp holders, with 29mm adaptor to fit B22 and E14 lamp holders. A 10″ lamp shade that is suitable for a table lamp or small pendant shade. 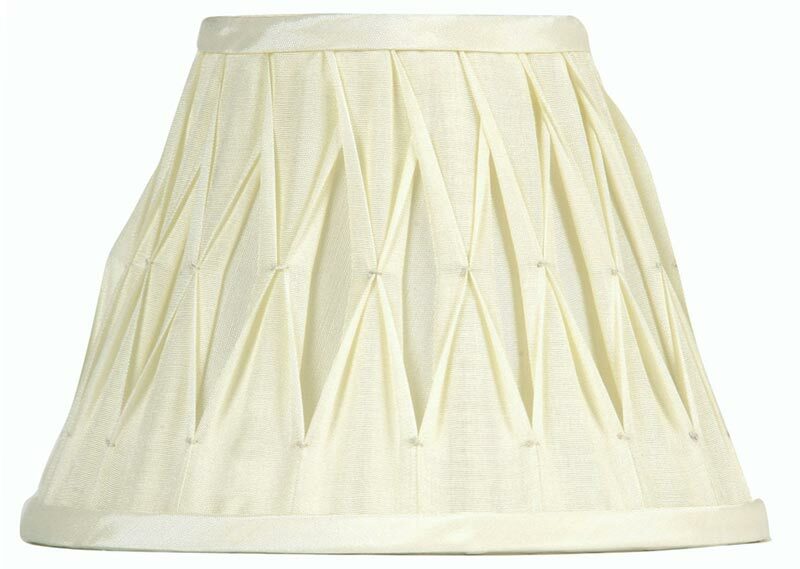 A pinched pleat and lined ivory faux silk lamp shade that will give a soft mellow light. Part of an ivory coloured range of co-ordinated lamp shades for wall lights, chandeliers, table lamps and floor lamps that can be viewed below.